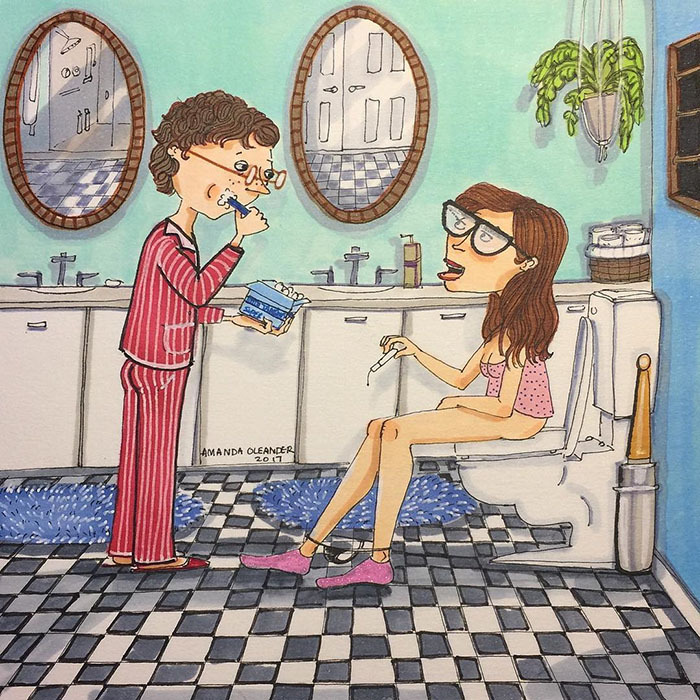 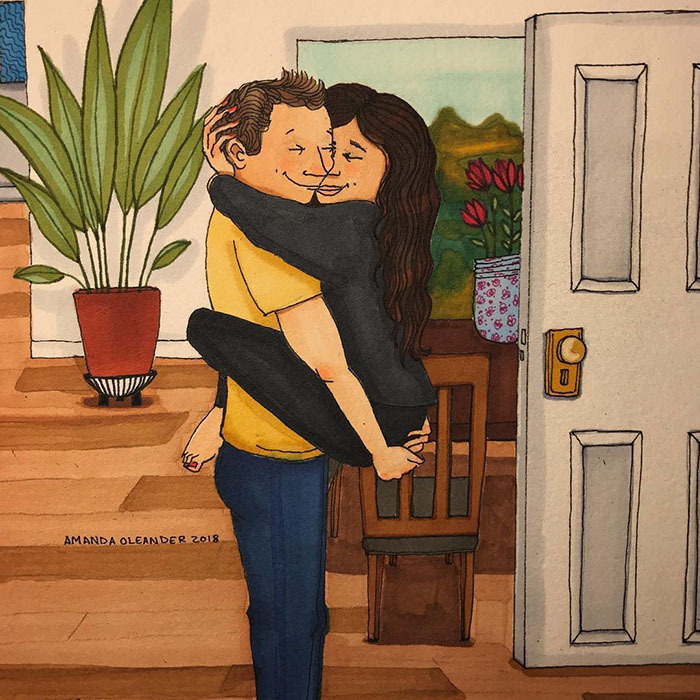 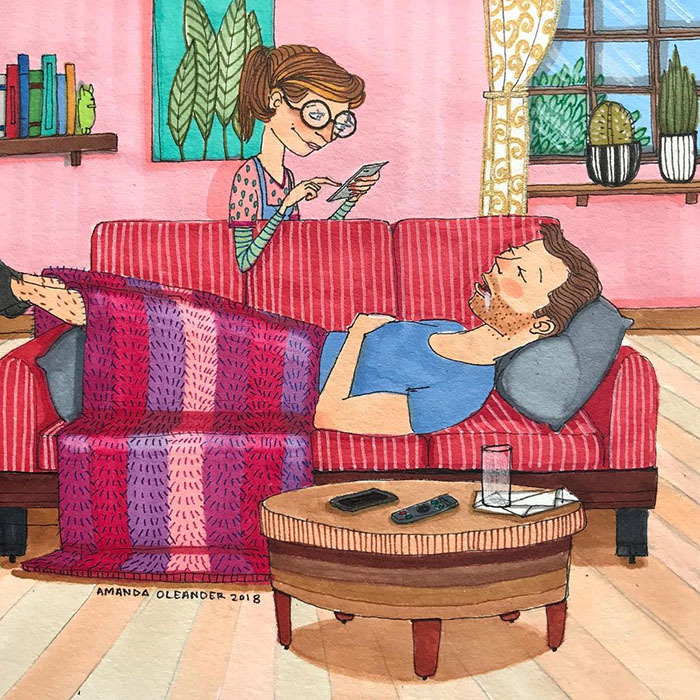 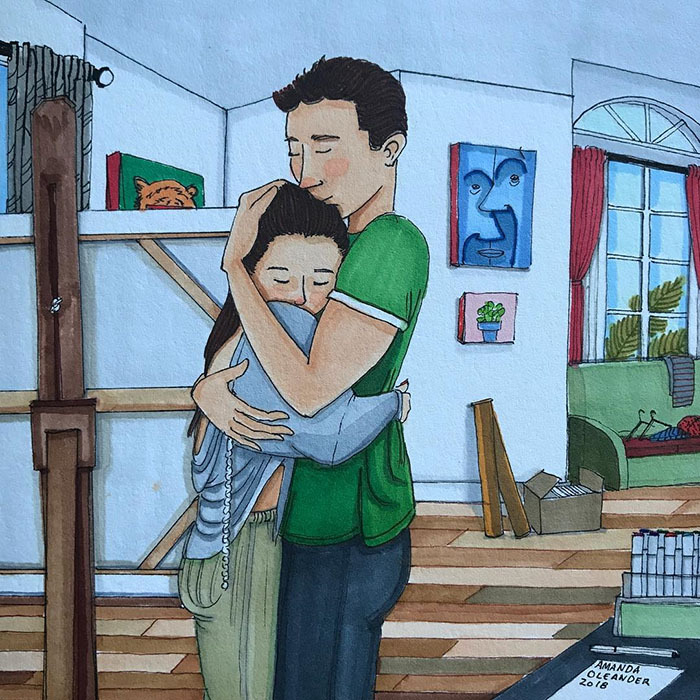 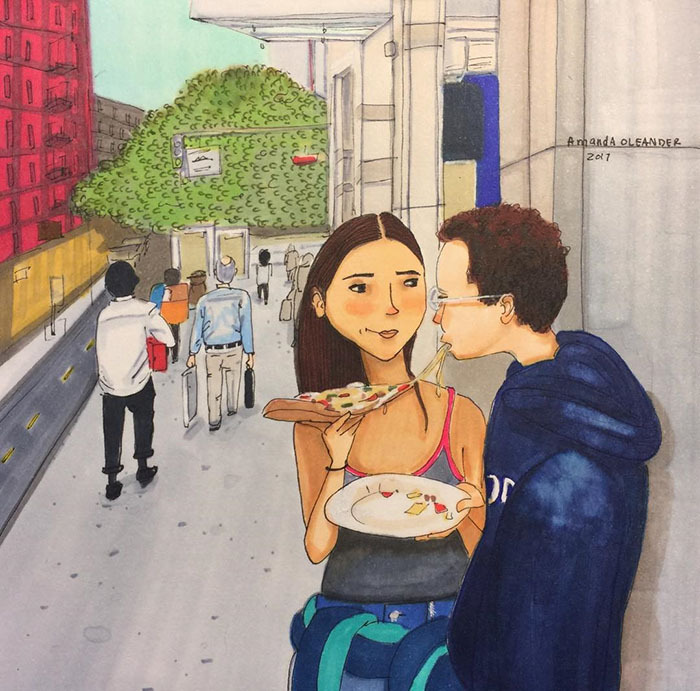 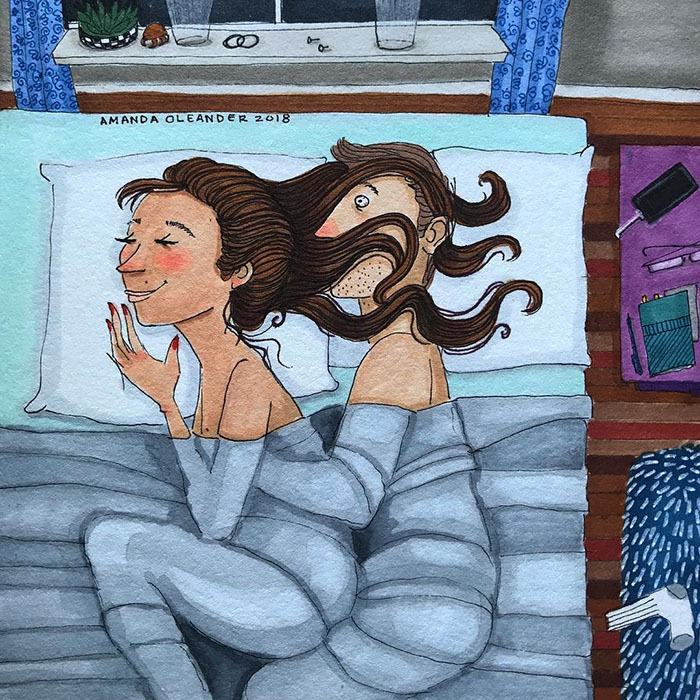 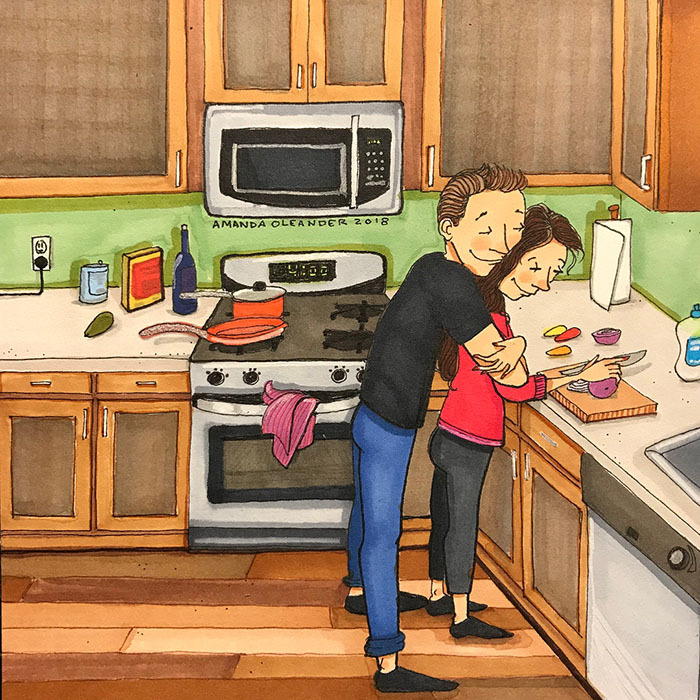 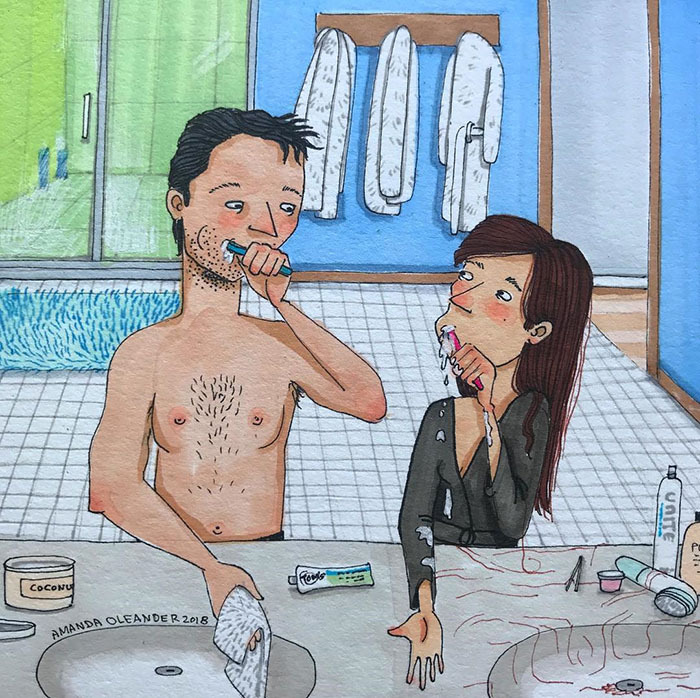 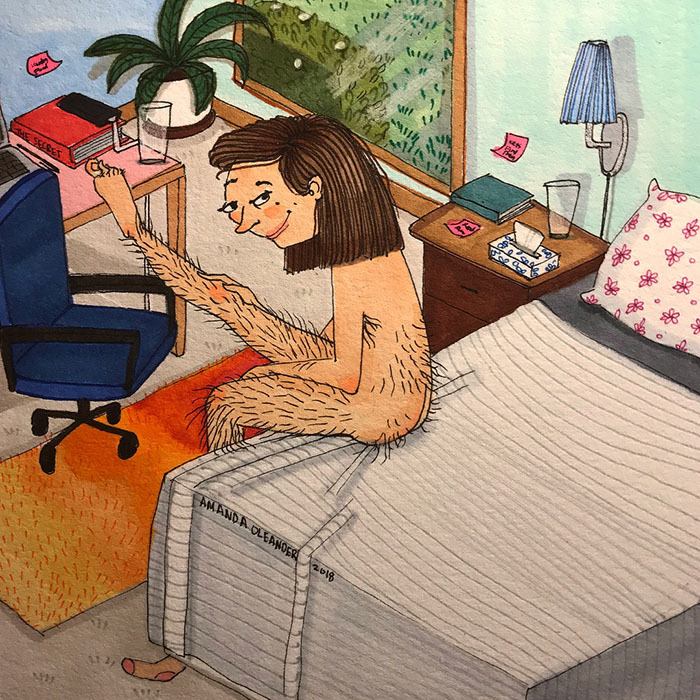 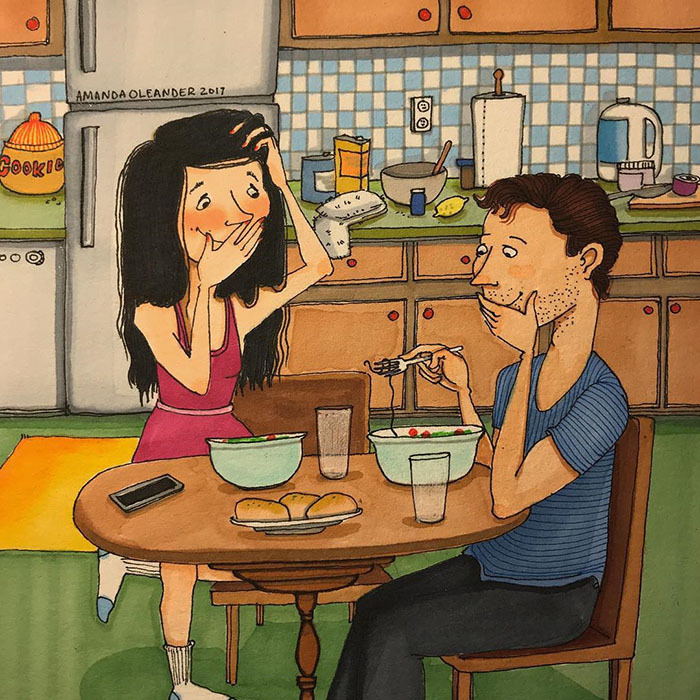 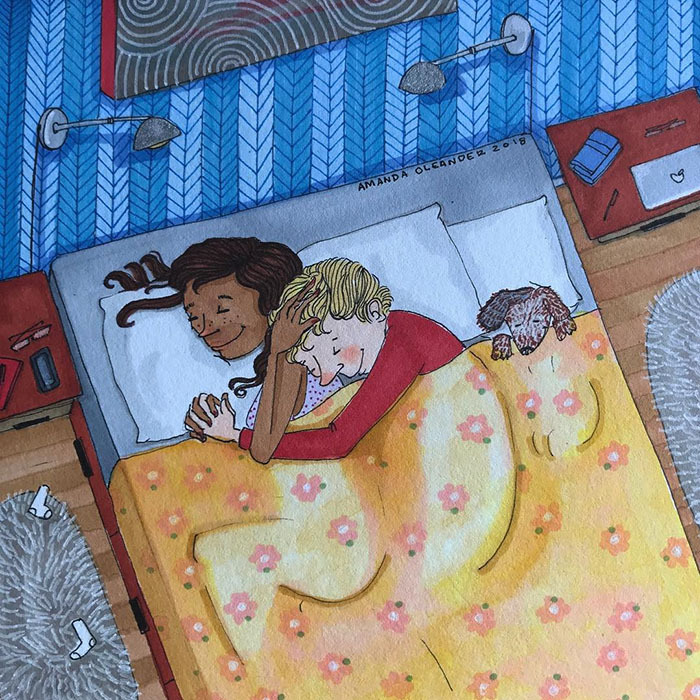 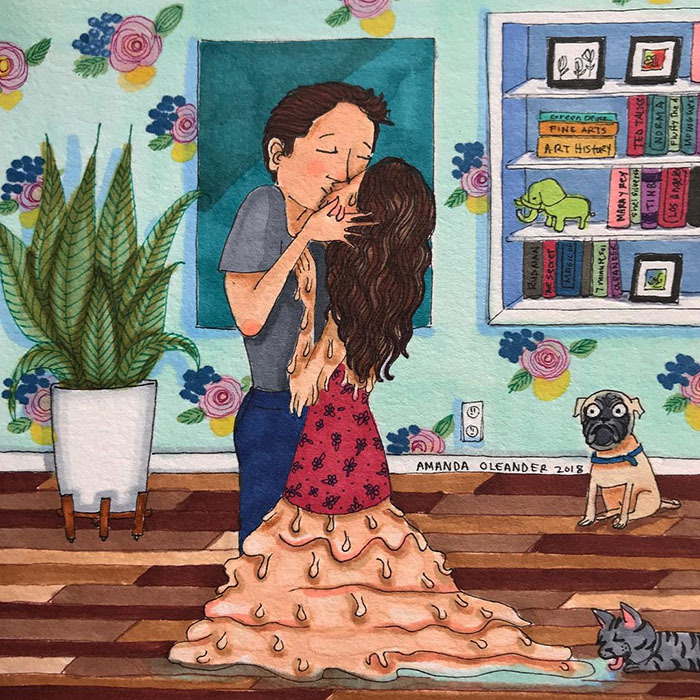 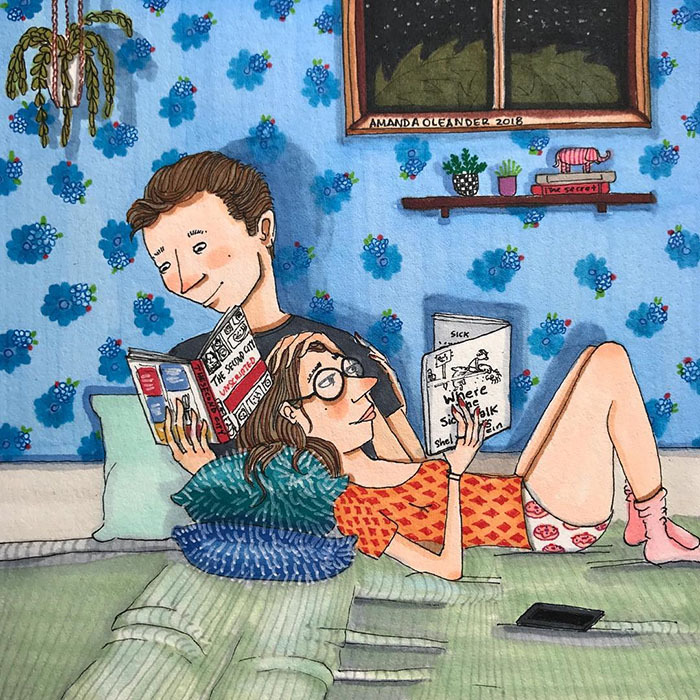 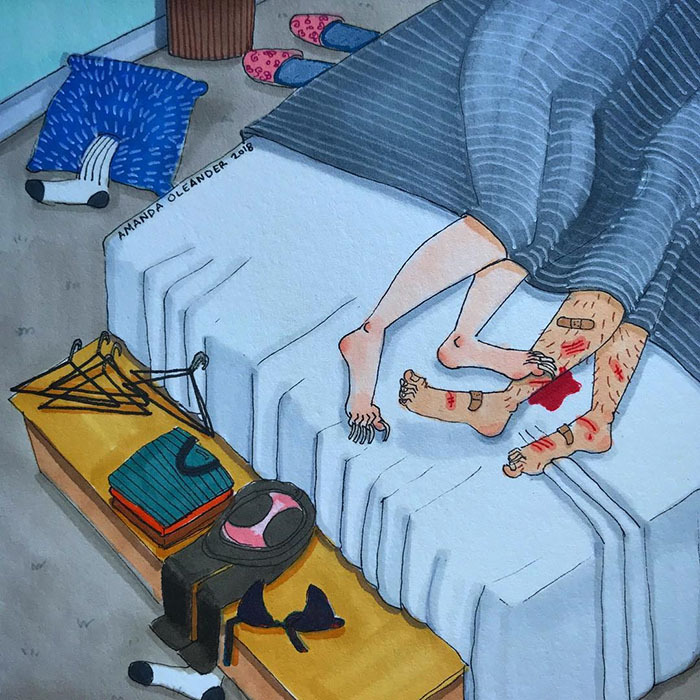 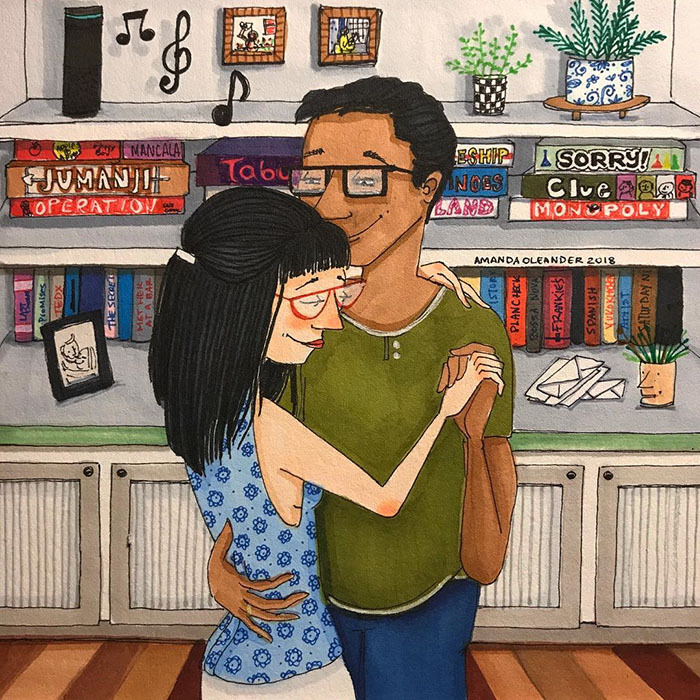 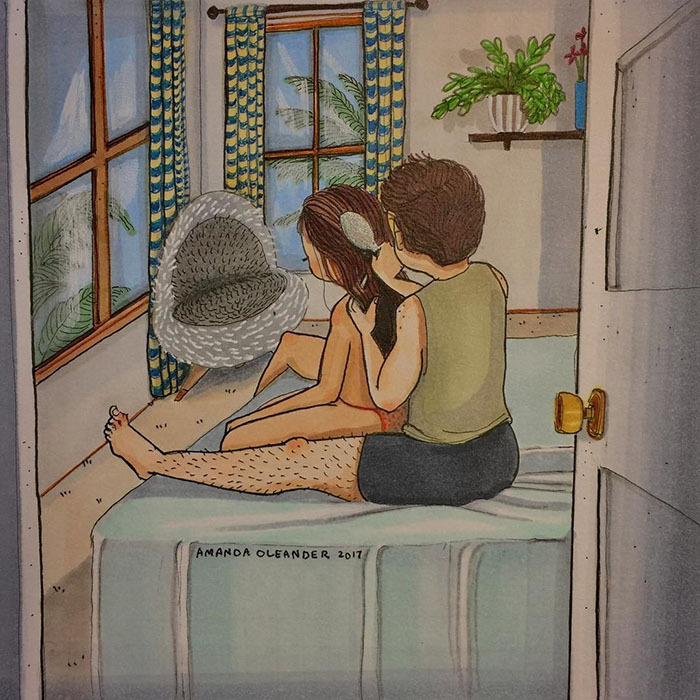 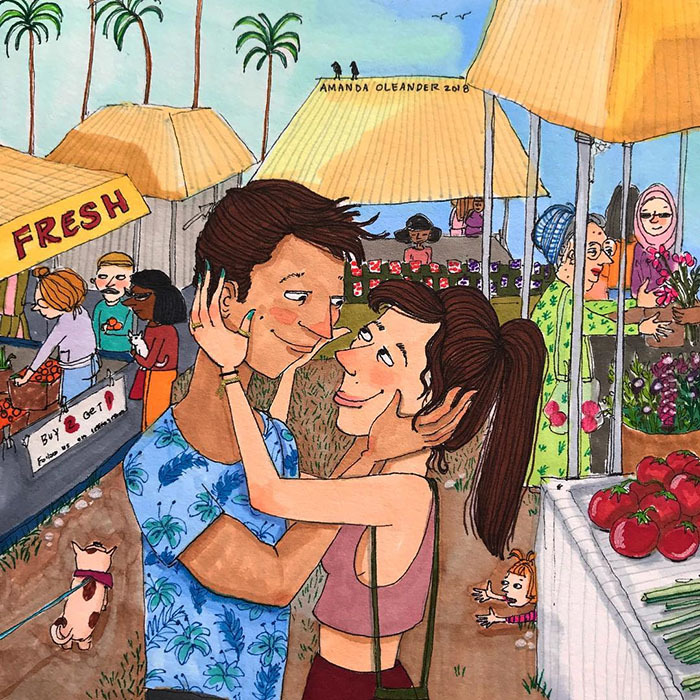 All relationships have flaws that somehow make love perfect, and the talented Amanda Oleander captures the sweetest and most honest couples' moments with her funny illustrations. 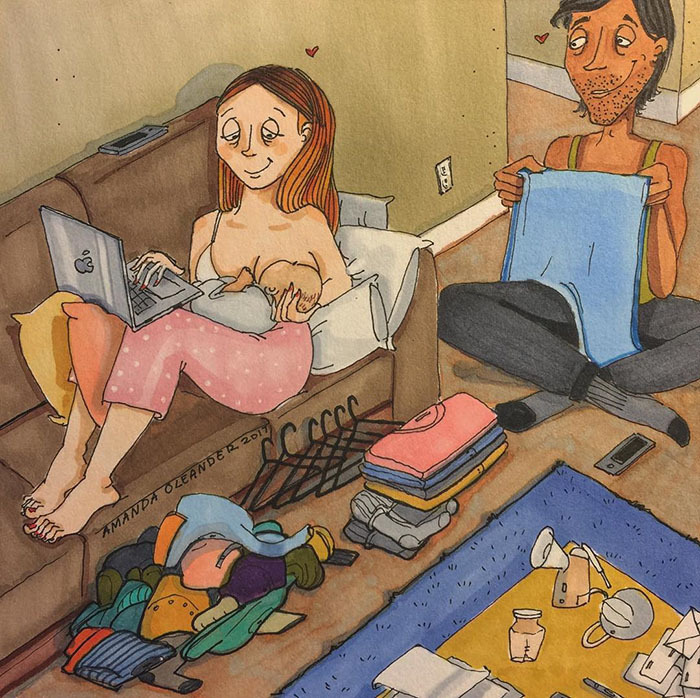 Have you ever met those perfect couples that seem to have it all together and probably don't have anything to hide? 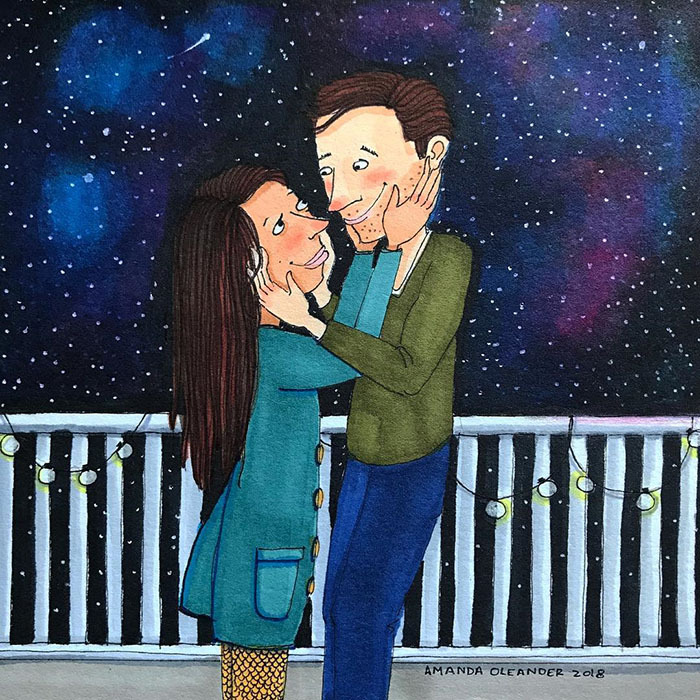 Well, while the answer to that may be a big "yes", things can be pretty different backstage… no relationship is truly perfect and that is exactly what's great about love – it may be flawed but that's the beauty of it. 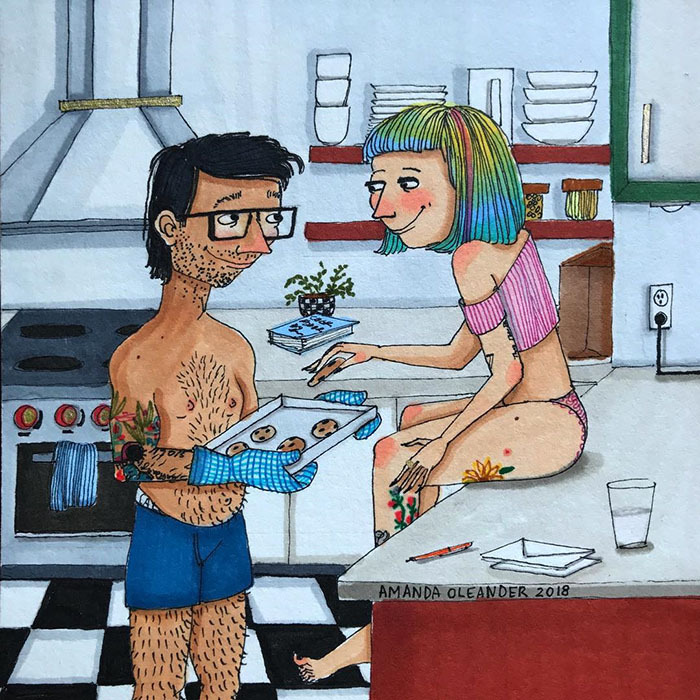 This type of perfect imperfection is captured in a hilarious and brutally honest way by the Los-Angeles based Amanda Oleander who is drawing up a storm these days as a busy, busy artist and also a part of a relationship with a man she describes as "the sweetest man I've ever met." 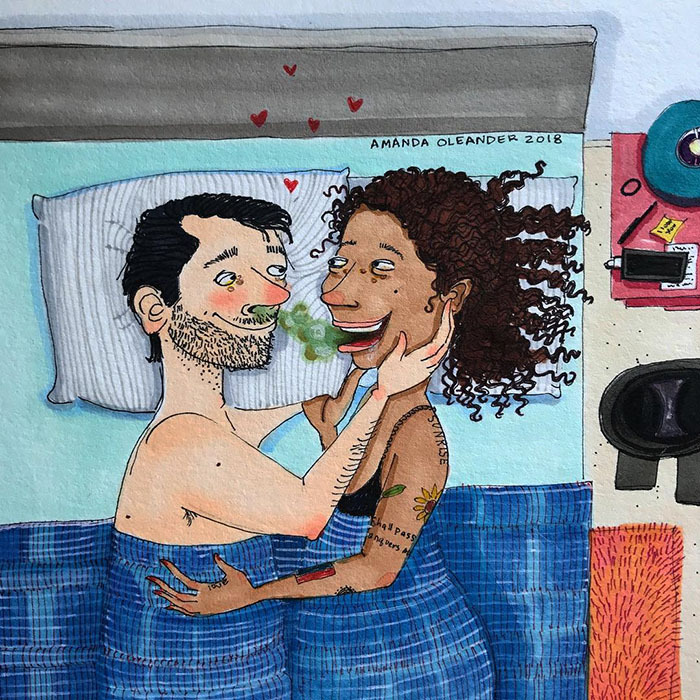 Amanda explores the ins and outs of relationships at their most intimate moments that only the two people in them get to share and the results are beautiful, funny, honest and incredibly relatable.